Here at MACkite, we have a customer-oriented attitude, and if these comments we've received from our customers are any indication, that attitude shows in our service! "Recently my wife and I were visiting Grand Haven for the first time. While shopping, we decided to stop into your store. I am a elementary school counselor so I'm always looking for items to use with the students I work with, especially non-electronic games! While shopping, it appeared to us that all of your staff enjoyed being there. Jordyn was the wonderful young lady who helped us out and listened very well to my explanation of what I was looking for. I also liked the fact that almost every game we bought was available to use first as Jordyn showed us how to play them. I really liked that about your store and the fact that Jordyn knew how to play every game we bought as well. Again, I just want to say we had a great shopping experience made possible by the vast selection of items in your store and Jordyn's great personality. Yes, we will be back! "Thanks, got it yesterday. Really enjoy your kites! (this is our third)"
"I appreciate your excellent and personalized customer service. Please pass this on to your supervisor! Good customer service is hard to find these days. I think a game from MACkite might just have to be a yearly tradition! "Last year we bought my 14 year old son Gerrit a Rev 1.5 from your store and he loves it. This past year, we signed him up for the private lessons with Team IQUAD. That was fantastic and they really got him set up right. The whole team took time with him. John Barresi reworked his kite and we bought some better bars from your store. Over the weekend, he spent more time than I could imagine with him. So much so that they now talk on facebook and we even put their stickers on his Racing Go Kart as our way of saying thanks. Since we won the championship, it got a lot of people asking about them and kiting. We always bring more and more friends to the Kite Show. It is one of the neatest events I have been to. My one friend, came thinking how dumb this would be. He will be camped next to us next year. He is looking to buy his girls 2 line kites for Christmas just from seeing the show. I just wanted to let you know how much we appreciate the festival and having great acts like Team IQuad. I enjoyed them all. Chicago Fire is fun to watch. I have to say again that I am still impressed that Mr. Barresi would take the time to redo Gerrit's kite and spend time teaching him to fly when the others were practicing. It speaks highly of your company with the event bringing that level of talent and character. We look forward to seeing them in May! Tuesday night my wife and I were headed to Sleeping Bear Dunes National Seashore. Earlier that day I lost the upper spreader to my prism nexus. I believe it was Kelsey who helped us out Tuesday evening. Without her help, I could not have been flying the next morning on Lake Michigan with the Sleeping Bear Dune in the background. "I am a Canadian customer and I just wanted to mention, that my online purchasing experience in dealing with Tena at Mackinaw Kites & Toys, was to say the least, amazing! Firstly the price of the kite which I purchased, was the cheapest anywhere, secondly my enquiries were responded to immediately, with additional information I hadn't even asked for. Tena you are just amazing! Thirdly, my order took an unbelievable 4 business days to get to my door. I don't often give praises freely, however this time it's well deserved. TEN out of TEN for everything! "Last weekend we spent a wonderful 2 days in Grand Haven. One of the most fun times of the weekend was spent at the toy shop. We have 2 kids and we wanted some new games to bring home as gifts. We strolled in to the shop and we were greeted by Bart. He directed us to the games and asked us what we would like to play. We played games for probably over 3 hours and we bought 6 to take home with us. On Sunday we went back again and Bart was working again we played more games and bought 5 more toys and games. We had a great time. "I visited your store last year. All the people that worked there are very nice and helpful. They helped me find a stunt kite that was suitable for me. I bought a Vision stunt kite and really love it. "I stopped into your store on Jan 24th from Detroit. My family and I were visiting relatives who told us about your store. We had never been in it so we decided to stop by.There were two young girls working that day. They were so very knowledgable when it came to games and the products of your store. They were also enthusiastic about helping my family and I. They were very helpful and very fun to be around. We thank you for having such a wonderful store and wonderful staff. "About two months ago I bought the Boost video and started to seriously think about trying kiteboarding (I am a wakeboarder and snowboarder now). I dropped by the store in Grand Haven to look at the trainer kites and met Steve. If you have even the slightest interest in trying kiteboarding you have to talk to Steve. He showed me a lot of the gear around the store and got me completely pumped up to want to get out on the water/snow. I ended up purchasing a 3m trainer kite and I cannot wait until spring so I can take a lesson!" "We love this store. We started going for the kiteboarding gear but our kids fell in love with it too. The staff is always ready to play with the kids and show them how the toys work. They have demos of the toys open so the kids can try them - which is such a great idea. One time Steve spent a good half hour playing Hulabaloo with our boys - we ended up buying it and another for our friends. If you're considering going there - DO! It's a fun fun experience!" "4 way count down is a great game! I use it as a center in my classroom and it is VERY popular. We play it with only addition and subtraction. Love your store." "I came in today a bit hesitant, or should I say intimidated by quad line kites. They look so fun but I wasn't sure I could fly one. Ruth was extremely helpful and after buying a Revloution EXP, I got some valuable help with set-up and a first lesson from Bill over at the State Park. It was so much fun and I'm certain now I'll be enjoying the Revolution for a long time. Thanks Ruth and Bill." "My husband and I visited your shop in early June and had a blast! We saw the kites flying as we ambled about the city after crossing the bridge and were drawn to the shop by the bright spinning objects in the doorway and display case. They have the same effect on my students and other visitors as they enter the room. Since we are moving into a newly completed wing of our school building at the beginning of the school year, I purchased some items to fly outside of the building to add to the beginning of the school year excitement. I love the products we purchased and want a few more items for my classroom. Thanks so much for your help with this order. Your staff was wonderful as they helped us with our purchases in June. I am eager to see the reactions of our students when they return to these colorful items in their environment this fall! Thanks so much for helping me jazz things up for them!" "Thank you so much for all your help, I really do appreciate your going to all the trouble to accomodate us! We got them (Ketch-It Balls) yesterday, and everyone is very happy, we have a couple looking at the kites--you guys have some awesome kites! Thanks so much for the EXCELLENT customer service!" "I heard about your company at a Michigan State Park campground (Aloha St. Park). I asked two people where they got their windwheels. A lot of people had the windwheels outside their trailers as decorations (pushed into the grass outside their trailer doors) and it looked really cool. I saw about 3 of the flamingos and a couple of the fish. Plus, a lot of trailers/5th wheels had the colorful windsock type things hanging off their awnings. If you don't already, it may be a good business source for you to target people who camp! These are cool camping accessories! Thanks again and looking forward to placing my fish outside our trailer over Labor Day when we go camping again!" "Thanks for the confirmation of our order. We appreciate your great service and look forward to working with you again in the future!" "Thank you for your help, it is such a joy to have a pleasant person helping with an order! I am excited to recieve the windsock,and will refer all my family,and friends. Once again Thank you for your kindness,and help. Looking forward to puchasing from the company soon." "I truly love the windsock, and have had compliments about it. I told them exactly where to get, and hope to send some new customers your way. Thank You, for caring about the everyday consumer." "It's a great pleasure to do business with a company lilke yours. Very real and human. A nice e-mail follow-up and timely delivery. This bodes well for the Mackinaw Kite Co. I will be visiting the site. These yo-yo's are helping me get in touch with a lost part of myself. They are comforting to my soul. Looking forward to receiving the yo-yo's. They are great stress-relievers." I got the yo-yo's, etc. today. You guys provide great service. I will definitely do business with you again. Thanks again for the quick turnaround." "I can't tell you how excited my husband and kids were to open his father's day present. Three great kites that will give us hours of family fun! Thanks for the great facebook contest! I love that you have a tab for American made products- We are trying to support manufacturing and that really helps. "Many thank yous for getting the shark kite up to the U.P. so fast this last week. Our grandson loved it and was anxious to fly it at the beach. Anyway, as usual, you were super fast with the communications and the service. I'll be back again. Love to fly the kites and trying to keep it going through the grandkids. Last year we took kites to Crisp Point and the Two-Hearted River beach. :o)! This year I'm thinking about flying the Delta off of the boat and perhaps we'll try some Lake Michigan kite flying at one of the beaches south of us. Thanks for helping us keep the kids into it and for the fast service. We love good customer service! You get an A+++! Thanks again. "My dad and I have been flying kites from your store for about the past 10 years. Last year, I moved out to NJ for work and now I'm located relatively close to the Atlantic Ocean. There is always a good breeze down at the shore and earlier this summer I picked up a P4 from your website. I have been able to use it quite a bit and introduced a few people to joys of power kiting. The kite has performed amazingly and sure surprised some folks with the power behind it. Thanks for the great kite. "Just a quick note to say how pleased we were with James' kite instruction at the beach last Tuesday. After our few years off flying kites, he helped us with several forgotten techniques - and he's a nice guy! Please pass along our thanks to him. 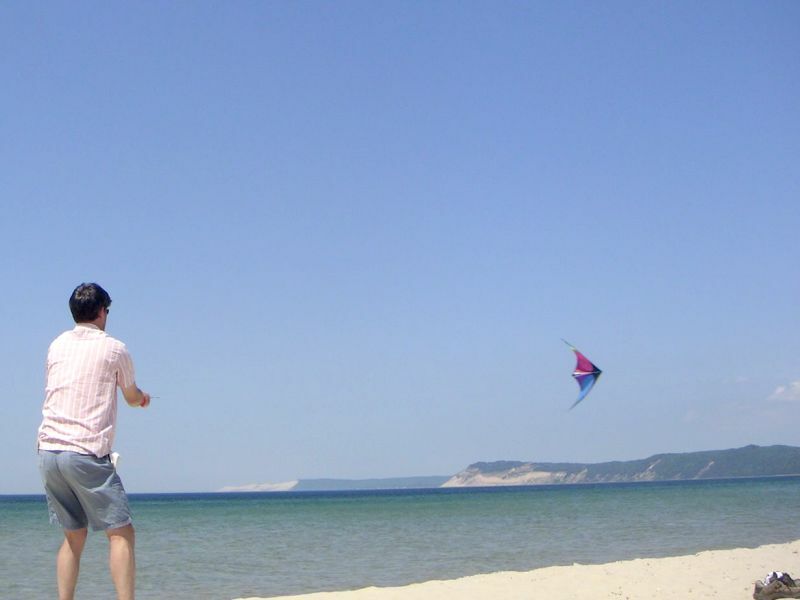 "This past Saturday I stopped into the Mackinaw City store to purchase a new stunt kite. The staff at this location was more than helpful to my needs, as I had just finished flying for the day because of a broken lower spreader on my Prism Fanatic. When your staff found this out they were kind enough to mention that they also sold repair parts. I am extremely pleased with the service I received, as it saved me the time and effort of contacting the dealer I normally buy from and my Fanatic is once more sky-worthy. At the upcoming OSEK Kite Festival in Cleveland Ohio, I will definitely be mentioning Mackinaw Kites to any and all who will listen. Once again many thanks to you and your Mackinaw City staff." You have a great store, and AWESOME customer service! Keep up the good work! "We have stopped in your Mackinaw City store many times over the years. Our kids love the kites we have bought for them. On our visit to Mackinaw City this year I picked up my first stunt kite, we went straight down to the park, got a quick lesson, and now we are hooked. We can't seem to find enough time, and/or wind to fly. We ordered our first quad line kite last week (it arrived in a speedy 3 days from your Grand Haven store) and we had the opportunity to fly it today, needless to say we are now hooked on four lines. Thanks for your fast delivery and also to the very helpful and friendly staff at the Mackinaw City store. "I think you have a fantastic business in Grand Haven; being formerly from that area I tend to recommend your store as a must visit to everyone I know that is planning a trip to that area. On a recent trip for a state bowling competition we brought a group of people into your store. Your employee's knowledge of speed cups mesmerized the kids and her ability to demonstrate the different products you sell was fantastic. Keep up the great work. We recently ordered some speed cups online and had them in hand in just 2 business days !!! Fantastic." "I love visiting your store. I am a 'game' person and I tend to like unusual games. I think it is wonderful that you have games available to try. The trial run can really help you pick out the game that is best for you. I appreciate your variety and uniqueness of games. I will continue to stop back to see what new ones you are offering. Also, thanks for your very helpful sales staff." "I have had this little bee in my bonnet all winter about flying and building my own kite. Now that the time has come to do just this I did a thorough search on the internet for kite stores, enthusiasts, etc. Constantly Mackinaw Kites & Toys kept coming up. So my family of 10 took off to Grand Haven this last weekend to visit your store. WOW!!!!!!!!!!!!!!!!!!!!!!!!!!!!! I cannot say enough. Your store was inviting and friendly and I really would like to thank the two girls who [helped us]. They went out of their way to make sure our visit was FANTASTIC. Right down to bringing up a chair from the basement for my mother to sit in that would make her more comfortable! That is service! You can be guaranteed there will definitely be more trips there this summer. When I told them that I was wanting to build my own kite, they did not become inverted and walk away- they actually explained all they knew and told me pieces of information that I had not been aware of before! I have to say again, WOW!!!!!!!!!!!!!! You can believe that I am telling EVERYONE I come in contact with about your wonderful store! 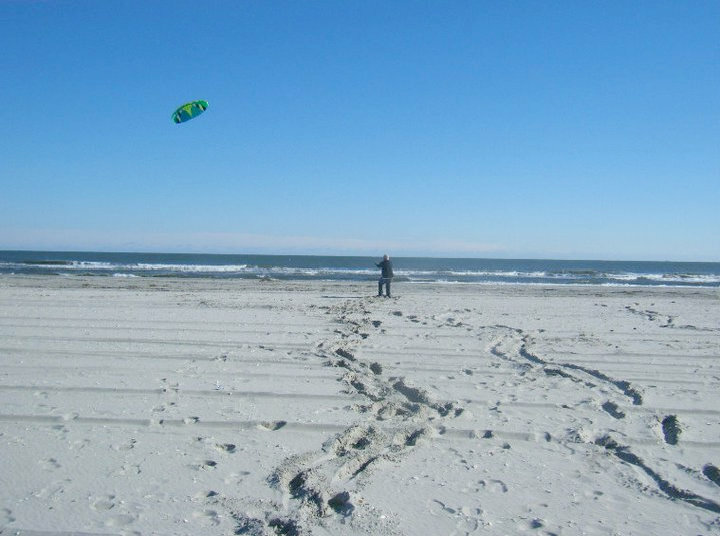 By the way, we flew our new kites at St. Joseph Beach on Sunday and they were a big hit there! No one else there with kites and people were awed by how easy they went up and flew. They all knew they were from your store! We made sure! " "Recently my family was vacationing in Grand Haven and were browsing around town when we saw your store. We went in and were looking at games in particular- our family loves new games! I picked up a card game and one of your clerks asked me if we would like to play- we had so much fun in your store we bought the game had a lot of laughs, and later in the week we went to Mackinaw and visited your store there. We had fun playing there too! I sure hope you open a store in [my hometown] I will be there everyday! Thanks again and keep up the great work! "I really enjoyed shopping at your site! You have some of the best prices and product choices! I liked the ease of using the site! And I loved the way you confirmed my order by email before you sent it. I loved the deal we worked out! It's Nice doing business with Good, Honest, Normal people! Your Customer Service is Excellent! I Loved my order, I'll definitely be shopping this site again! "I wanted to thank you guys for the most exciting day I've had in a long time last Saturday at the Reed's lake Ice fly. Steve and Nick were extremely accomodating and eager to get my sister and I involved. We were hesitant with the big kite but now I can't wait to strap my board on and go for a ride, maybe next time." "Thank you for your response and your excellent business. I am very happy with the delivery time, especially this time of year. Happy holidays! "We can't praise the Yomega yo-yos enough and have encouraged our co-workers and anyone else who happens to ask, to order Yomega yo-yos from Mackinawkiteco.com. Especially since the "yo-yo people" are so nice! Thank you so much for your patience and generous help. We certainly will have fun with our yo-yos (we have been already) as we learn and master the tricks in the trick book! You have been great and I certainly appreciate your kindness and professionalism." "I received the kite on friday. It is a beautiful kite and in perfect shape. I just wish the wind would die down a bit so I could get it up in the air. I'm so glad it came before easter. That is the day the entire family ( which is about 30 people ) gets together each year to fly kites. We have been doing this for years. I have a five acre open space I keep just for flying kites. It will be fun to get this one up there with the rest on easter. Thank you for the speedy shipment. It has been great doing business with you." "I just had to let you know how pleased I was with my recent order. I couldn't believe how fast it arrived (2 days)! The order was complete and totally correct. Needless to say, you put BIG smiles on my kids faces and mine too! It is such a pleasure to work with a company that truly puts their customers first. You get an A+! Thank you for everything .........."
"Your yo-yos have already started to bring them success. They're already telling their friends that mom found a great site on-line to buy yo-yos. Yep... I'll pass it along when asked. "I'm writing you to express my appreciation to the women at your Mackinaw City Store. They were very helpful and best of all, they honored the on-line special you were running on the Magnum [stunt kite]. First rate service, very nice folks. They made a return customer of me, and anyone that wants a toy or a kite I'll send your way for sure. Then when I brought the strings back the afternoon after I bought my Magnum (one was frayed) I showed the lady behind the counter she walked back and gave me a complete new set of lines still in the package. No if ands or buts. Wonderful people at that store- will be back there soon again. One day I would like to go to the [Grand Haven] store and see what you have there. They were also able to help me out with my Chinese dragon kite. And it actually flew when I was done; I was thrilled. I've had it for 4 years or so and it never flew before Tuesday afternoon- thanx again for the help. I really appreciate everything you have tried to do for me. Excellent service by everyone at Mackinaw Kite Co. I could not wait so I talked my wife into going to Mackinaw City on Monday; we were originally going on Tuesday or Wednesday. I flew the new kite on Monday after we shopped for a while. It flies excellent and I had great fun trying to do tricks with it. Everything with that kite is great and I can't be happier with it. Looking forward to learning a bunch of new tricks with it. I was able to get it to float on its back so far and the usual stunts. Very cool. Thank you again." Want to experience our products and customer service for yourself? Visit our Online Store or one of our Retail Stores. Thanks very much to all our testimonial page contributors; you've really made our day!